On one hand, there are people in Vancouver WA that love working within their outdoor spaces and enjoy yard maintenance such as lawn care and lawn mowing. While on the other hand, some folks simply hate lawn care and refuse to do the work. 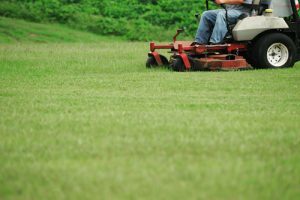 Although everyone can benefit from professional lawn care services, those that prefer to not work in the outdoors are likely to benefit significantly. No matter how you feel about lawn maintenance, one thing is certain- keeping up with lawn mowing takes time, effort, and patience to be done correctly. Keeping your lawn immaculate year round is possible if you are willing to put forth the effort, or pay for the service. Lawn Mowing: The lawn will be cut to the same smooth height throughout and all clippings will be removed. Fertilizing: The lawn will be fertilized as needed to stay healthy and beautiful. Lawn Edging: The lawn will be cleaned around all edges including concrete walkways. Flower Bed Maintenance: The flower beds will be kept clean by removing all dead plants and will flourish with mulch placement. Seasonal color displays are also available. Shrub Maintenance: All shrubs will be trimmed and cleaned. Tree Trimming: All trees will be trimmed and inspected for damage. Hardscaping Maintenance: Water features, sculptures, and other hard features will be thoroughly cleaned. Winterization (including drainage and irrigation systems): Special care will be taken as the warm months turn cold to ensure all drainage and irrigation systems stay in top shape. Landscape Repair: Should there be any damage to your landscape repairs shall be discussed before being conducted. Your yard care service needs will be dictated by your outdoor space and budget. Whether you want to purchase a comprehensive lawn care package or perhaps just the lawn mowing services, Boulder Falls would love the opportunity to earn your business. There is no lawn maintenance job too big or too small for the passionate lawn care professionals on staff. During your free consultation, a lawn care service package can be created collaboratively to meet all of your needs and will include a regular service schedule so you don’t have to worry about the condition of your lawn any longer. For skilled lawn care services in Vancouver WA, that you can always count on, Boulder Falls is the right choice for you. As committed professionals seasoned in comprehensive lawn care and lawn maintenance services, your outdoor space is going to look immaculate all year long. Call now for more information or to schedule a free no obligation consultation.